Date Sheet of Graduate, Post Graduate, Master Degree, Diploma Programmes such as BBA, B.COM, BSC, BCA, B.LIB, PGDCA, DCA, PGD/ DIP, MSC, M.COM, MBA, MA, MCA, LLM, BA courses for June 2018 Exams under TGOU has been declared. You can save it on computer or take print out and we wish best of luck to all the students appearing in the exam. Share this information with your friends also and any problem, give your comments. The Admit Cards will be dispatched by the university in the 1st week of June/ December 2018. All the students are advised to submit their Exam Form on or before as per last dates issued by university mentioning their Exam Centres also in the form. Candidates after giving your exams in courses, everyone wants job to start earning. 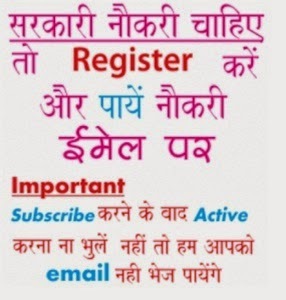 No need to worry for that because we will provide latest Government Jobs in our portal. you are requested to announce the same at the earliest please..